Before embarking on our recent European fortnight, we had the pleasure of meeting up for drinks with the Gastronomer, G-ma’s Bakery and their respective others. We had already chosen 1886 at The Raymond in Pasadena as our destination, but I was even more psyched when I found out they had launched a tiki-influenced summer cocktail menu at the end of July. 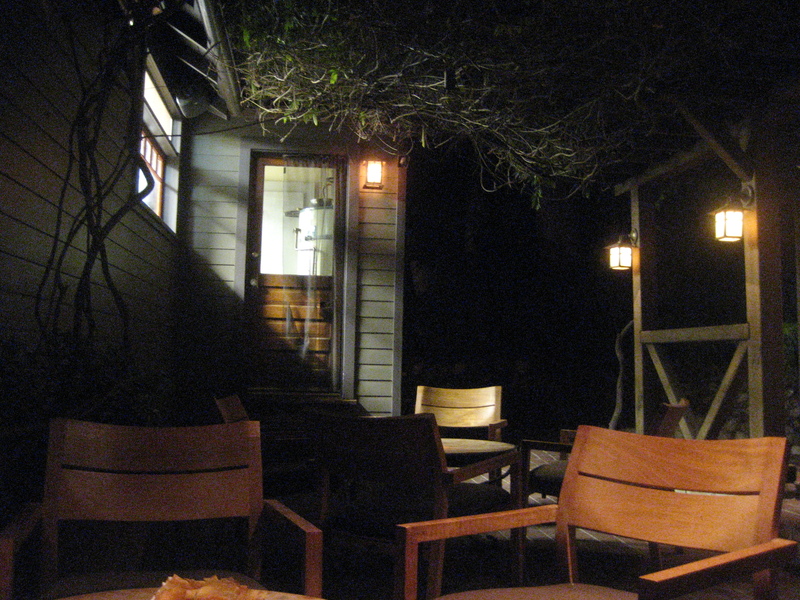 The Los Angeles area was in the midst of a heat wave, so we snagged a table out on the patio of the Craftsman cottage. With all the tree branches tangled overhead like a roof, it felt like our own little hobbit hideout. Each of the drinks on the menu is introduced with a brief background, such as this preface for the Zombie ($14): “This drink’s first version was created at Don the Beachcomber of Hollywood in 1934 by Donn Beach, creator of the ‘Tiki’ movement. Limit 2 per customer.” (I don’t know if that’s actually enforced or just a reference to Donn’s infamous edict, but it made me smile either way.) 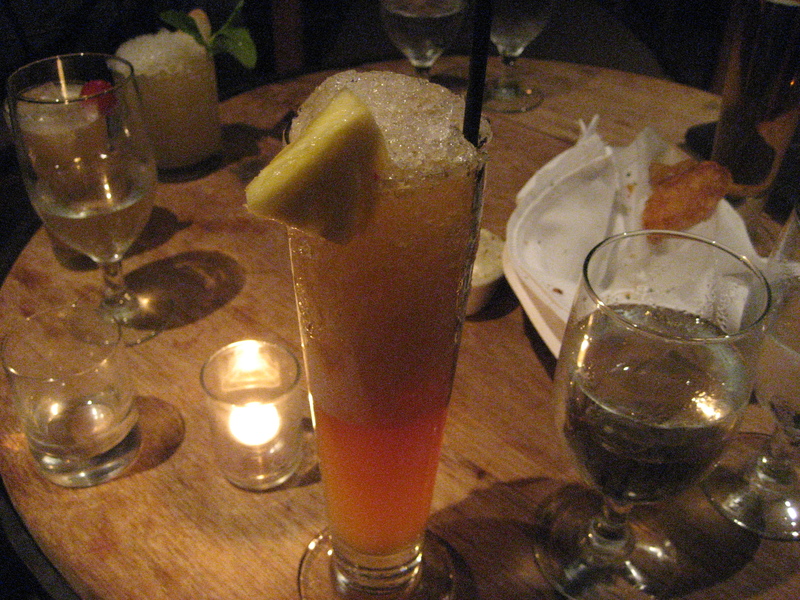 Their version, made with a blend of three rums, passion fruit, Demerara syrup, and lemon, lime & pineapple juice, was my favorite of the several libations we sampled that night. I was also tempted by the Thai Iced Tea ($12), a house original dreamed up by Garrett McKechnie and made with Thai tea-infused cachaca, Demerara syrup and hand-whipped cream. With the Piña Colada ($12, white rum, Coco Lopez, bitters, pineapple & lime) I had expected a sophisticated interpretation of this quintessential boat drink, but the flavors turned out to be quite different. Also featured is another Don the Beachcomber creation, the QB Cooler ($14), described thusly: “QB stands for Quiet Birdmen, a drinking fraternity of aviators founded by seven WWI pilots in 1921. However, this particular little drink was created by Donn Beach at his Hollywood bar in 1937, and was rumored to be the inspiration for a famous drink created by Tiki legend Trader Vic.” 1886 makes it with a three rum blend, falernum, honey & ginger syrups, lime & orange juice. 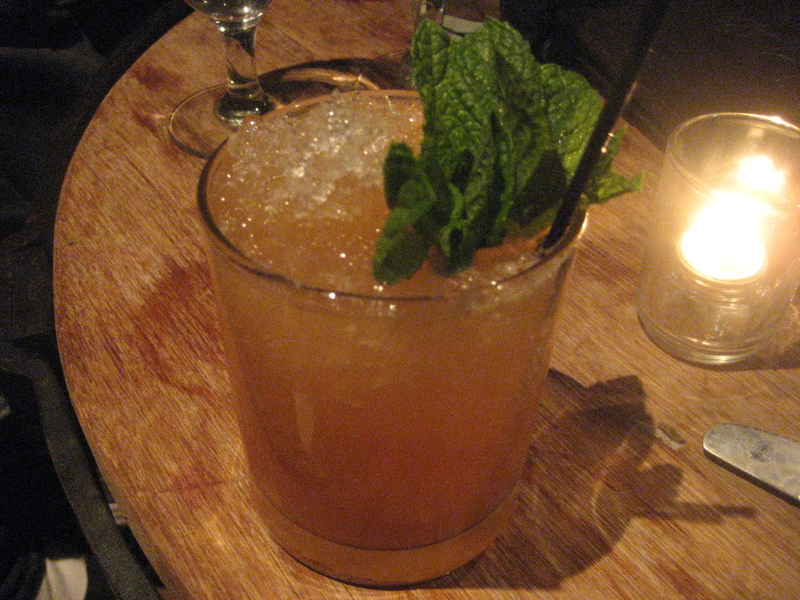 However, for me the ginger was a bit too overpowering to notice much of a resemblance to the Mai Tai in this case. 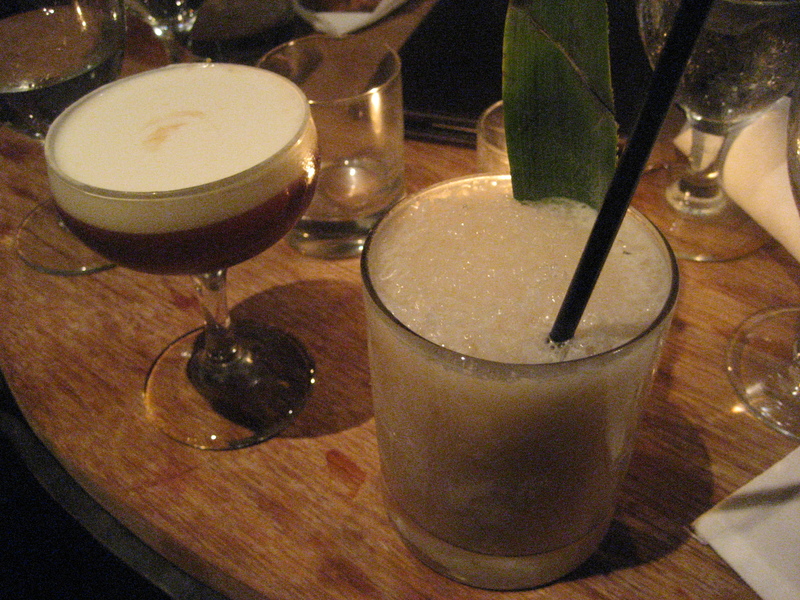 These were just a few of their many intriguing cocktails. 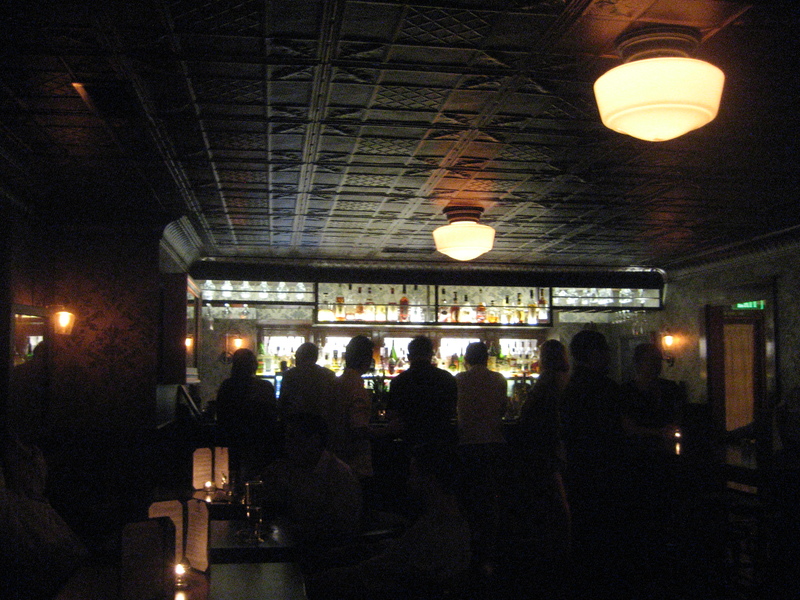 For more on 1886, check out ThirstyinLA’s recap of more of their summer tipples, plus the Gastronomer’s past post about this craft cocktail bar. 1250 S. Fair Oaks Ave. It was a pleasure drinking with you and Mr. Baseball! Say we’ll do it again soon? I wanna hear all about your Euro vacay! Isn’t it exciting to find places that have Tiki inspired menus. Just think, a few years ago you never would have seen that. What a great time to be a part of this Tiki revival. Hopefully it will encourage more people to check out actual tiki bars!